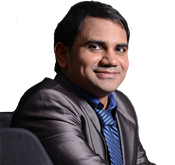 Dr Geedela published 50+ articles in peer reviewed international journals. His research is majorly on application of mathematical modelling for life sciences techniques and for early stage identification of diabetes and cancer. Srinubabu G, Ratnam BV, Rao AA, Rao MN Development and validation of LC-MS/MS method for the quantification of oxcarbazepine in human plasma using an experimental designChem Pharm Bull (Tokyo). 2008 Jan;56(1):28-33. Srinubabu G, Patel RS, Shedbalkar VP, Rao AA, Rao MN, Bandaru VV Development and validation of high-throughput liquid chromatography-tandem mass spectrometric method for simultaneous quantification of loratadine and desloratadine in human plasmaJ Chromatogr B Analyt Technol Biomed Life Sci. 2007 Dec 15;860(2):202-208. G Srinubabu, N Lokeswari, K Jayaraju Screening of nutritional parameters for the production of protease from Aspergillus oryzae J Chem 2007 4(2) 208-215. Dr Srinubabu Gedela's Scientific h-index is 12, and i10-index is 15 as per Google Scholar.